In order to offset the carbon footprint with traditional asphalt patching M. Leeder Construction presents our Infrared patching system. 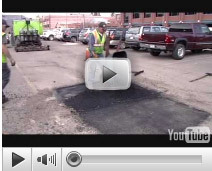 Infrared technology allows up to a 75% less production of new asphalt needed for patching, which then reduces the carbon footprint of the asphalt hot plant as well as the patching job. 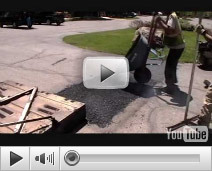 Infrared technology is the most environmentally friendly way to deal with asphalt maintenance. M. Leeder Construction is proud to be on the cutting edge of our industry when it comes to the environment.